The landscape of Venray (in de Southern most province of the Netherlands) is for an important part shaped by the presence of a successful livestock sector. This sector is obviously important for the region, but faces drastic changes. Approximately 50 to 70 percent of the farmers will quit their production, and the other farming entrepreneurs will take over their production. A transition resulting in numerous farms of mega proportions scattered over the rural landscape. The development of a metropolitan food cluster can prevent these consequences. By radical and technologically advanced clustering of the industrial activities of agriculture, the overall rural landscape will be spared from fragmented large industrial buildings. Moreover the disappearance of scattered industrial activities offers space for other functions to develop. As of consequence, a radical clustering will result in a residue of not essentially needed (former agrarian) buildings and fields, a phenomenon that is described as the space-pump effect. The design for the space-pump in Venray is created as part of the landscape machine design lab. 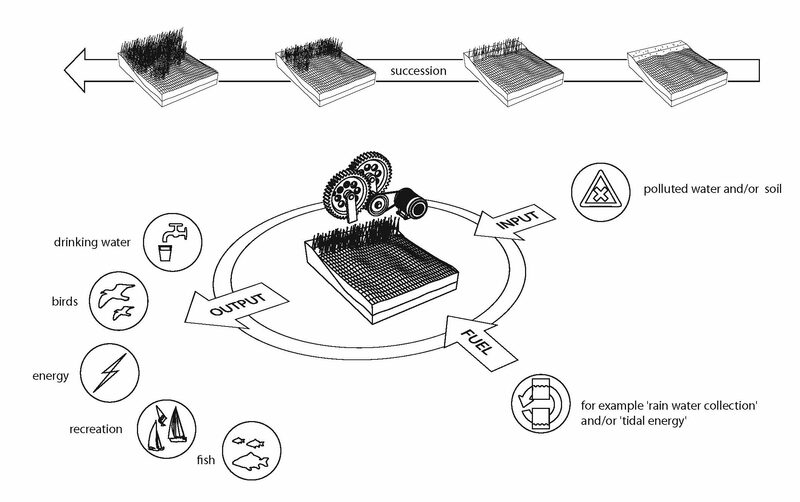 Nevertheless, the ‘Doorstep landscape’ is not consciously designed according to the principles of the landscape machine concept. The landscape machine aims, for good reasons, for an input-output balance in living systems. But the farmers, who are searching for a better economic, or productive balance within the metropolitan food cluster, do not share this aim. Especially these farmers are essential for the regional development by starting the metropolitan food cluster, and in that way the space-pump. The concept of the landscape machine in relation to the space-pump in the livestock sector would conflict too much with the interests of the farmers, and in that way cause a collapse of the space-pump development. Based on this thesis one can question the applicability of the landscape machine design concept in the current economic context. The concept seems to lack a good reason for those groups who currently have the power in the rural landscape to get involved in the landscape machine concept. On the other hand, the definition of the landscape machine is quite open-ended, and makes it hard to determine whether a landscape is a landscape machine or not. If one is consciously willing to find the characteristics of a landscape machine in this design for the space-pump in Venray, it could turn out that also this design will function as a landscape machine, whether or not a in a perfect way. The landscape machine concept should in my opinion therefore be interpreted as a method to asses whether there is a stable balance within a landscape. Fig. 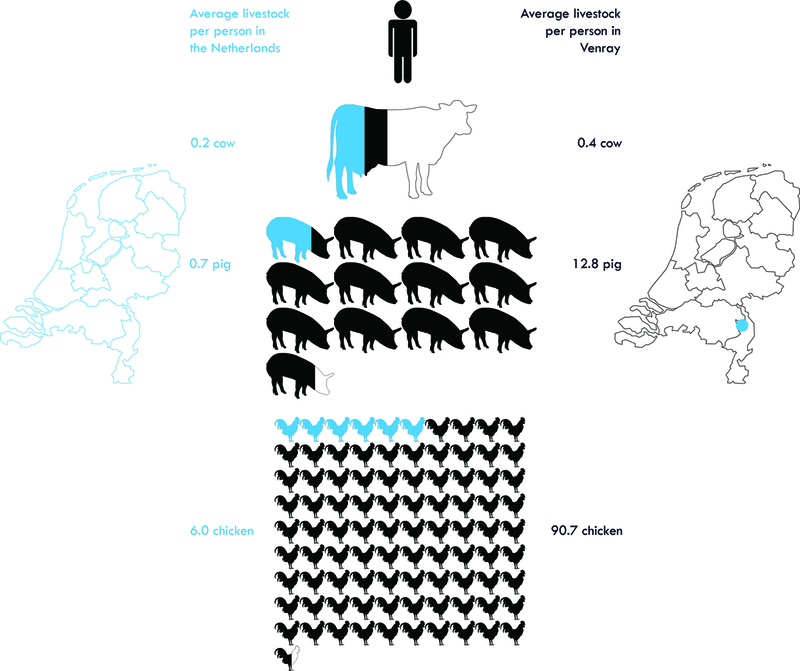 1 The size of the livestock sector in Venray is far above average, and therefore very important for this region. Fig. 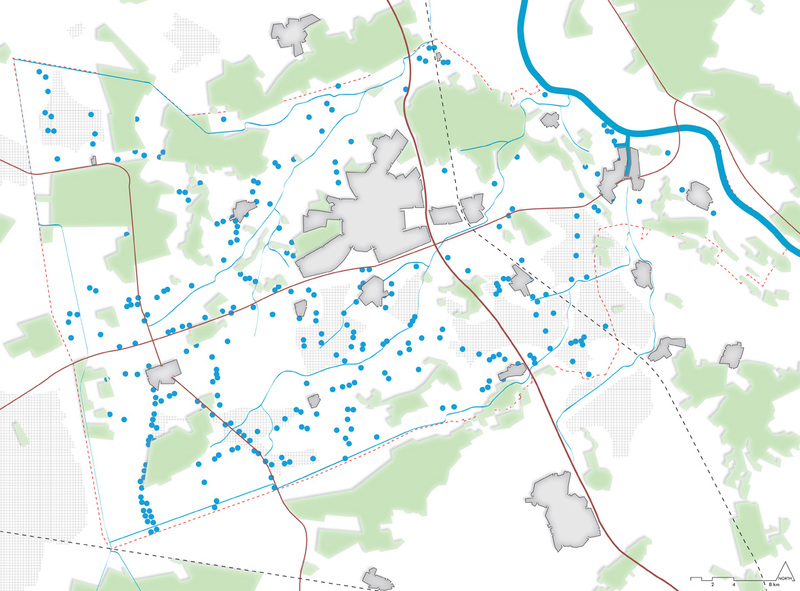 2 298 livestock farms scattered over the rural landscape of Venray. When autonomous developing, 30-50% will grow to mega proportions. Fig. 3 When the space-pump occurs in the current monotone agricultural landscape, this space can be used to restore the stream valleys, connect the villages with the landscape again, and offer the small farms an opportunity to transform their function. Fig. 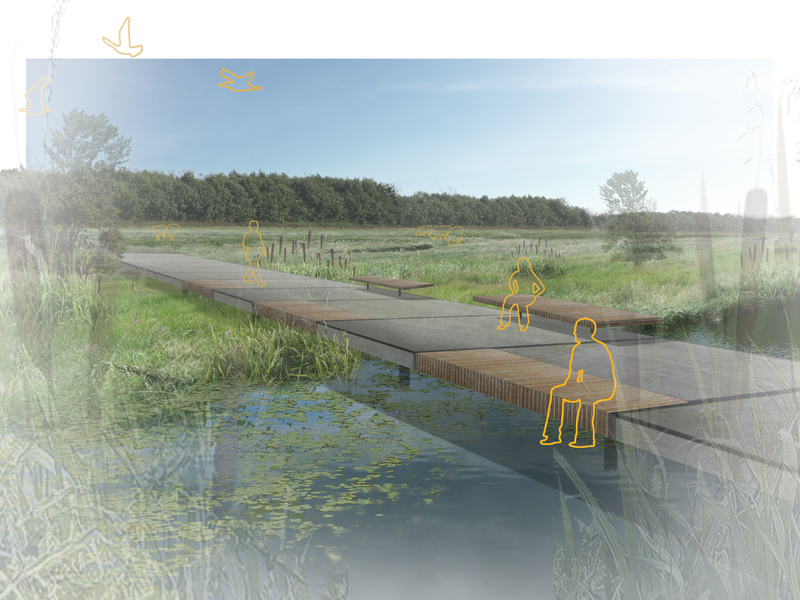 4 By transforming the stream valleys in a recreational, and ecological attractive framework, the lost relation between the village and the rural landscape can be restored. Fig. 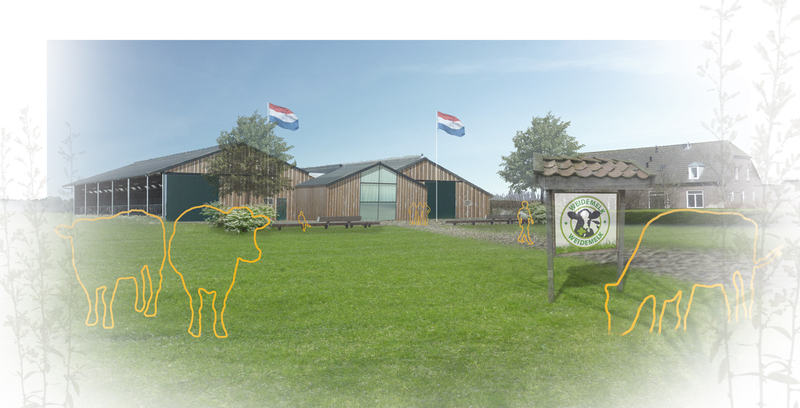 5 The transformation to the Doorstep landscape offers farmers in Venray an opportunity to change, or diversify their function of intensive livestock, like for example the sale of local products.